Diggin' Your Dog Super Snouts Organic CBD Supplement brings your pet the largest amount of naturally present cannabinoids, diverse terpenoids and flavonoids in the world! Super Snouts Organic CBD Supplement is a full spectrum oil which keeps phytocannabinoids, terpenes and flavonoids intact. 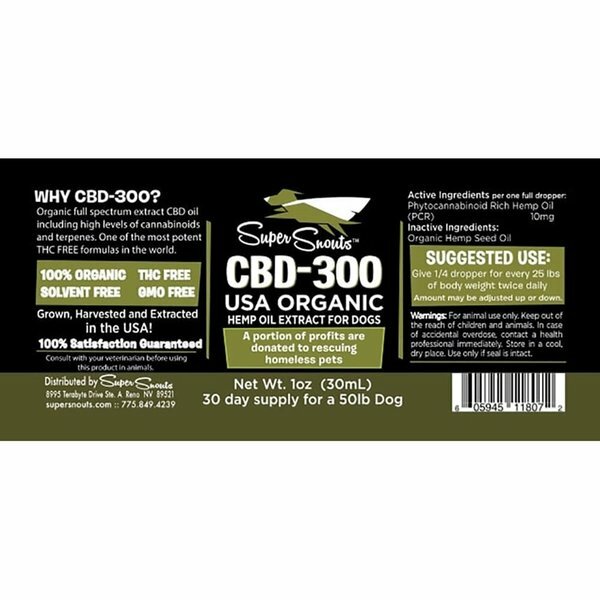 This formula contains zero THC so your pet will not feel "high". This hemp oil extract is made from Colorado grown plants that are regulated by the Colorado Department of Agriculture and follow strict organic farming practices. 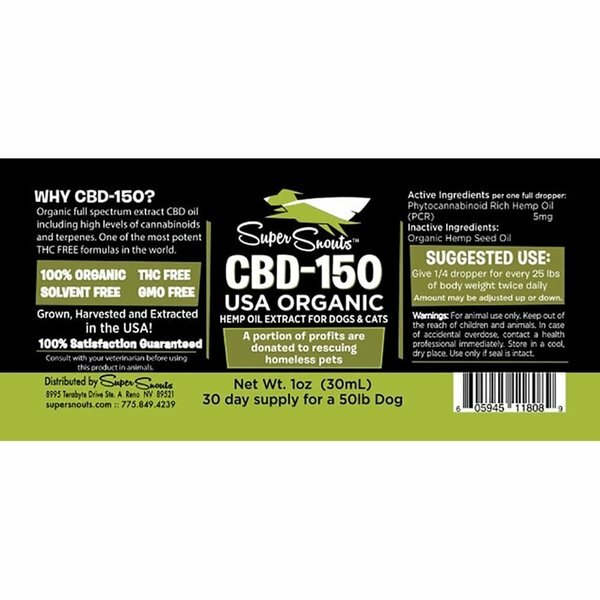 Super Snouts Organic CBD Supplement goes through an Extraction & Purification process which allows for high levels of phytocannabinoids but eliminates unwanted amounts of THC and chlorophyll.